If you’re shopping for the best EDC flashlights, you’re going to want something that can stand up to the rigors of daily carry, puts out sufficient light, but is small enough to slip into your pocket or EDC bag. In our list, we bring you five of our top choices. Some of the tiny powerhouses can deliver up to 1000 lumens. And some of the bigger lights on the list can deliver a whole lot more. First up on our list is the Fenix PD32. Best EDC Flashlights – Whether it’s for outdoor adventures like a forest or deep wood camping or just as a backup for a power outage you can always depend on the Fenix 315 Lumen LED Flashlight ($57). It’s your perfect everyday flashlight and is compact and lightweight enough to handle with ease wherever you are. It’s also got a very long lifespane. Meaning this is a flashlight you could easily use for years on end. And it features an innovative digitally regulated output so it can maintain constant brightness even in pitch black environments. Best EDC Tactical Flashlights – The Simon Cree LED Flashlight ($40) offers a simple yet smart design that is both lightweight and versatile. Its smaller stature makes it ideal for backpacking and camping. But don’t be fooled by its small size it still packs a very bright light. 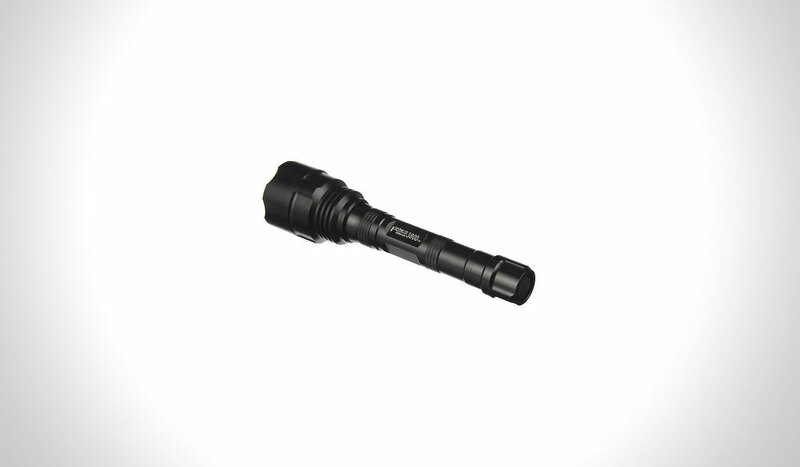 Used by both law enforcement agencies and the military this is a flashlight you can always count on. And it even features 5 varied light settings a: high, medium, low, strobe and SOS. Best EDC Flashlight Under $50 – Packing a very bright light that measures 960 lumens the Nitecore EC20 Cree EDC Flashlight ($33)is perfect for any situation. Thanks the bright beams high intensity you can light up locations that are over 200 metres away! The soft touch buttons and improved grip also ensure this flashlight will be easy to operate and handle. It even features a huge range of different power modes and beam settings. Brightest EDC Flashlight – Sleek, stylish and with a compact easy to hold design the SureFire Titan Plus EDC Flashlight ($90) is a versatile and lightweight flashlight that you’ll always be glad to have with you. Amongst its impressive specs is a very hardy design that ensures high-performance. While also being shock resistant and a proprietary reflector that will create a smoother broader beam. And if that wasn’t enough it also features a removable pocket clip so you can easily carry it with you. Small and mighty and made from aircraft grade high-quality aluminum. The Fenix LD22 EDC Flashlight ($55) is a more compact flashlight that’s perfect for everyday use! 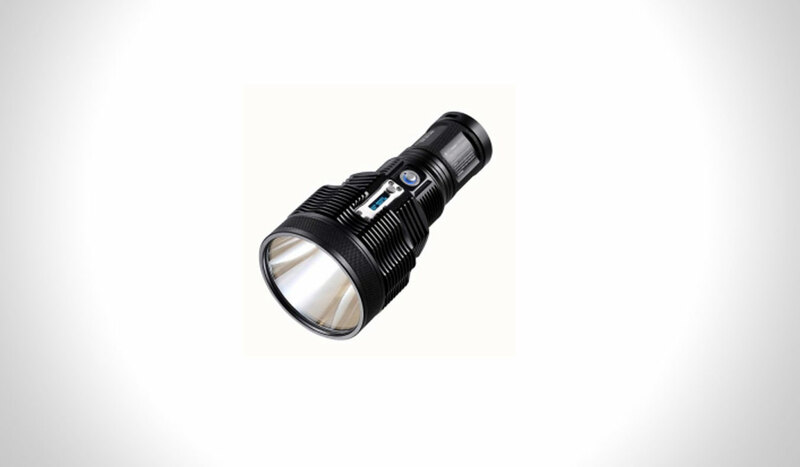 It offers dual operation modes so you can optimise the flashlight for various environments. A range of different lighting effects. Perfect for outdoor activities like camping, backpacking or hunting. This lightweight and versatile flashlight is something you’ll always be glad to have with you. If you’re looking for some major firepower you need to check out our 6 Brightest Flashlights below. This guide has some of the most powerful flashlights available including a 12000-lumen whopper. We provide you with light bombs from some of the top brands in the industry including Acebeam, ThruNite, Nitecore, and SureFire. 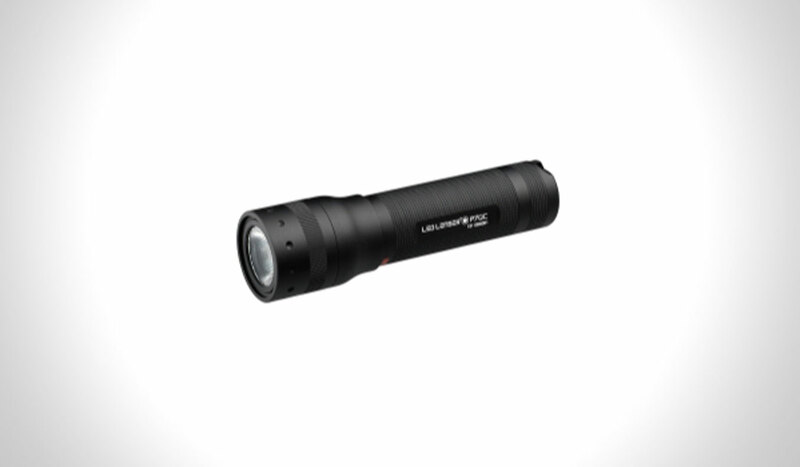 First up on our list is the aforementioned 12000-lumen AceBeam X65. With a light measuring an amazing 12000 lumens, the Ace Beam X65 12000 Lumen Flashlight ($499) is one of the brightest flashlights available and is perfect for any environment. 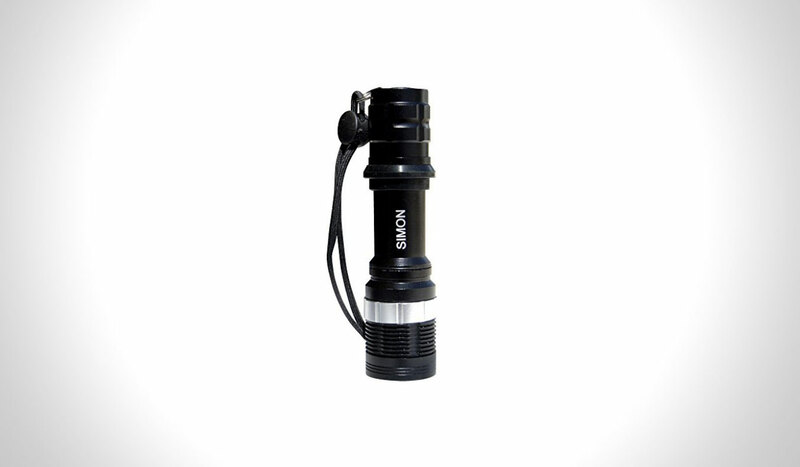 It is the go-to flashlight for professional search and rescues groups. 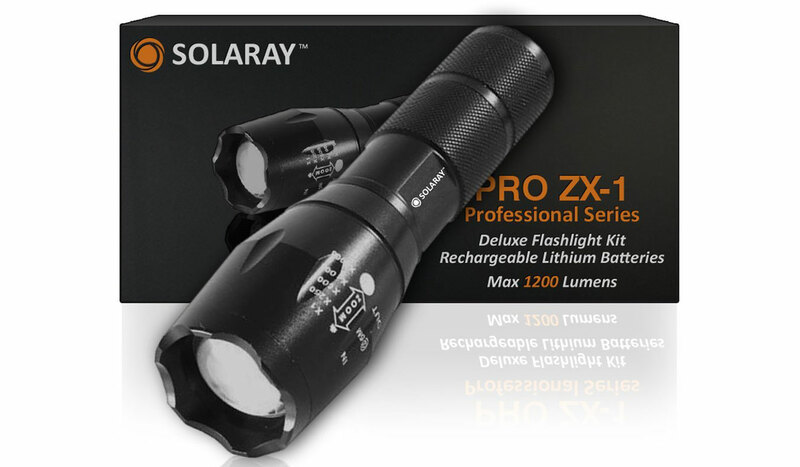 If you’re camping or backpacking this flashlight will be incredibly useful and is a must-have if you love the outdoors. It features 7 different lighting modes and thanks to its specially designed battery pack you’ll never be short on power. The ThruNite 7300 Lumen Mini Flashlight ($90) Mini shows that flashlights don’t have to be big and bulky to be powerful! Boasting a powerful bright light of over 7000 lumens this cool and compact flashlight is ideal for camping, backpacking and much more. It also features an advanced driver for extra energy efficiency and to protect it from overheating. Thanks to its more compact design (it’s roughly the same size as a can of pop) anyone will be able to use this flashlight in an emergency. The Nitcore EA81 Flashlights ($97) is a more traditionally designed flashlight but still packs a lot of power with over 2000 lumens of brightness. Any man whether he enjoys the outdoors or not will need a flashlight and the brighter the better! The lightweight and versatile flashlight take a more simple approach. But that makes it ideal for someone who just wants a way to light things up whether it’s during camping or a power outage. The brightest keychain flashlight you’ll find available today. The SureFire Titan Plus Flashlight ($90) may be a mini flashlight but it still packs a very bright light. And as a variety of power modes so you can adjust it to suit your needs. and thanks to the simple twist operating system it is easy to use and adjust. If that wasn’t enough it also features a removable pocket clip for quick and easy carrying. Brightest EDC Penlight – Light and durable with a powerful 120 lumen light. 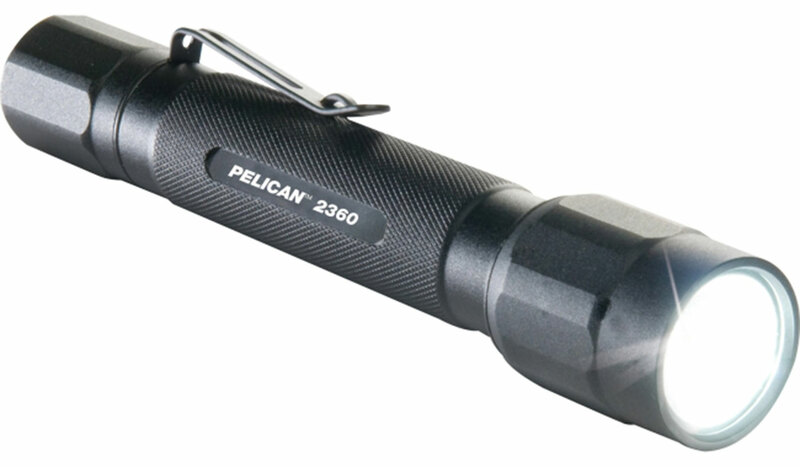 the Pelican 1920 LED Pen Light ($27) offers everything you could need in a pocket penlight. Whether it’s for camping, hiking, night jogging or just to have for an emergency or power outage this sleek and stylish, black pen light will always be a tool you can depend on. Features include two beam modes, a possible nine-hour run time from 2 AAA batteries, a 120-lumen light output, and an anodized aluminum body. This flashlight is something you’ll be glad to have on you at all times. The ThruNite TN42C Flashlights ($200) is designed to be the only flashlight you’ll ever need. And thanks to a bright light measuring 2000 lumens and a 20-year lifespan it almost certainly will be! The built-in fast recharge will have your batteries powered up to maximum in less than three hours. Thanks to its tough and hardy build this flashlight can easily withstand damage from accidental bangs, knocks, and even drops. When you need a light that not only provides a high beam but is strong, durable and versatile, it’s a tactical flashlight that you need to buy. With a secure grip, bright beam, and sturdy casing, tactical flashlights can be used for outdoor activities, as a means of self-defense or a safety device. Here are 10 of the best tactical flashlights on the market. With a 200 meter range, the Fenix PD35 Tactical Flashlight ($72) is a powerful but pocket-sized torch. With 1000 lumens of maximum brightness, this flashlight has a one touch operation and easy to understand output levels of either low, strobe or turbo. Made from aluminum alloy, there’s reverse polarity protection, anti-abrasive hard-anodized finish, and a toughened glass with an anti-reflective coating. A flashlight that powers up easily provides a powerful beam. And won’t suddenly go dead when in use are all high on anyone list of priorities for a tactical flashlight. The good news is that the Peli 2360 M5 LED Flashlight ($33) ticks all of the boxes. It provides a light source equivalent to 95 lumens. Running on just 2 AA batteries can last up to two hours. This flashlight also features a textured body to help you hold on without slipping just when it matters the most. A quick twist of the head of the LEDLenser P7QC 4-Color Tactical Flashlight ($60) switches on the four color beam, with the choice of white, blue, red and green. Green for night hunting that won’t disturb the local wildlife. The aluminum shell is Aerospace grade. Which means it’s tough and durable yet lightweight too. And operation is simple with the flick of large single switches. The choice of law enforcers all over the world. 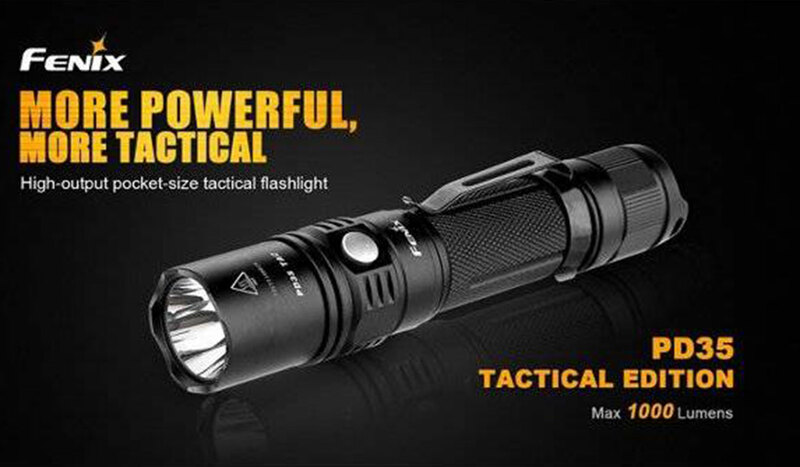 The Simon High Power Flashlight T6 Pro ($30) is powerful enough to stop assailants in their tracks. Despite being an extraordinarily powerful flashlight, it can fit comfortably into the palm of the hand. The black body and silver dial ring are both anodized plus the aerospace grade aluminum casing ensures this flashlight is tough, durable and robust. Incredibly bright and tough enough for everyday use, the Sky Ray LED Tactical Flashlight ($59) is perfect for a range of situations. 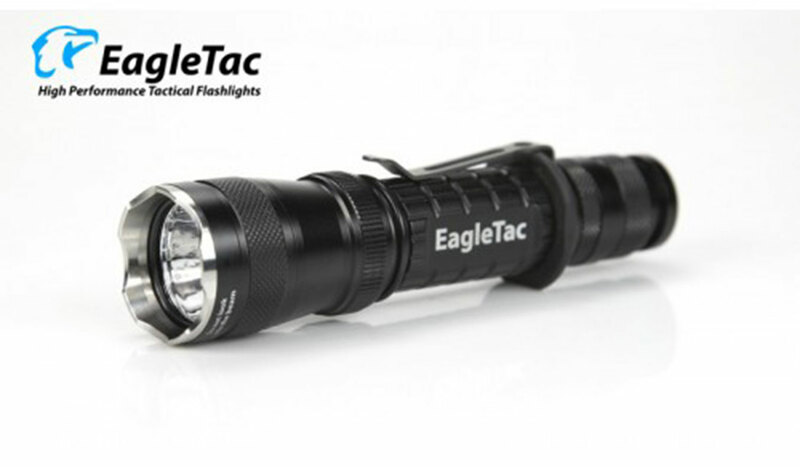 Caving, camping, hiking, hunting, sports, military, and driving are just some of the many uses for this versatile flashlight. It has a beam that emits a blinding 11,000 lumen when fully lit. And features waterproofing and Night vision. Although it won’t withstand being submerged for extended periods. Taking just four batteries to run the casing is shock-resistant and made from aluminum alloy, providing strength without heaviness. A chunkier torch weighing in at 41g, the GW Nitecore Tm36 Tactical Flashlight ($380) provides a powerful beam. Thermal protection and a temperature sensor mean that this flashlight will continue to operate smoothly whatever the weather conditions. It also features a beam distance of an impressive 1100 meters. All functions are operable with just one hand courtesy of an innovative single switch system. 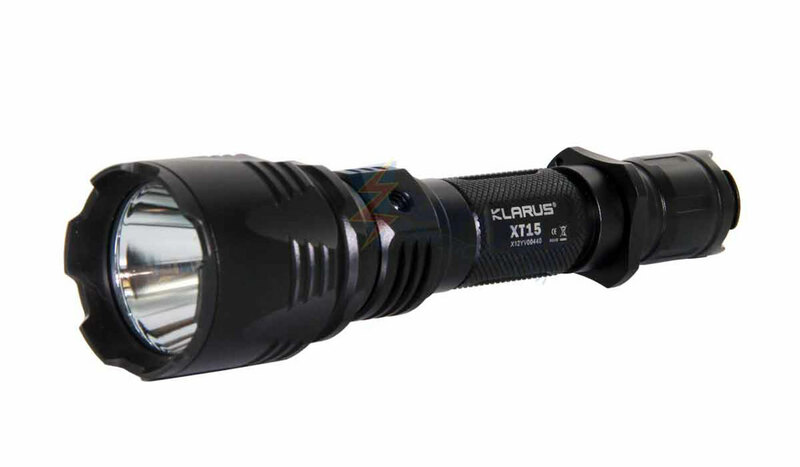 With a beam distance of 355 meters, the Klarus XT15 Falcon Tactical Flashlight ($99) is a sturdy design. A simple operation that is manageable with one hand, the Klarus emits a beam of up to 1020 lumens. 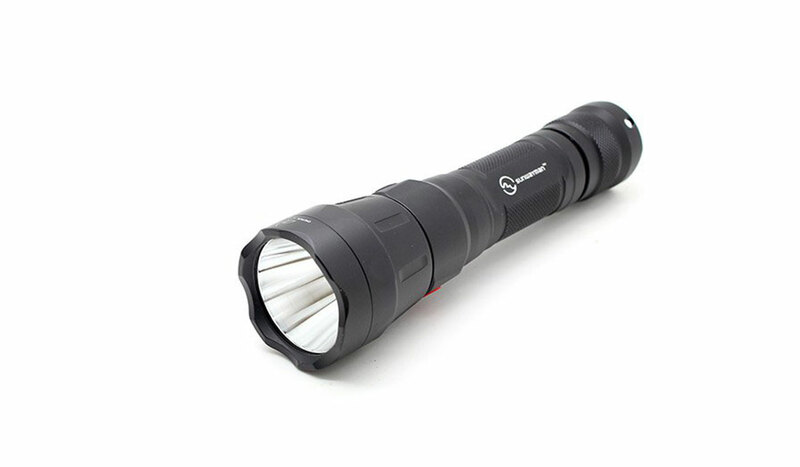 Waterproof up to depths of 2 meters, this flashlight can be used safely in all weathers. It can also be quickly recharged via USB making it an economical choice. With an innovative Creative Charging System, the Sunwayman T21CS Tactical Flashlight ($100) provides a 600-lumen beam from just one battery. With four different settings, the battery can provide up to 104 hours of light on the lowest level. A dual switch system makes operations easy while the anodized body provides a comfortable yet secure grip. It is capable of throwing the beam as far as 300 meters. And has a sturdy design that will last well in any conditions. In our buying guide, 4 Of The Best Flashlights Money Can Buy, we try to bring you our top choices in multiple categories. We will cover our picks for the brightest flashlight, the best flashlight for the money, the best rechargeable flashlight, or finally out pick for the best tactical flashlight. If you looking for a heavy duty flashlight that will not let you down, there’s something on our list for you. First up on our list is the brightest, coming in at a whopping 12,000 lumens, the AceBeam X65. Best Brightest Flashlight – With a light that can reach a maximum intensity of 12000 lumens, this AceBeam X65EDC Flashlights ($499) is something truly special and ideal for any situation. Every household should have a good flashlight for emergency situations and this is one of the brightest flashlights you’ll find available today. And with 7 different and varied light modes available this is a flashlight you can always rely on. You might be thinking that with such a bright beam it must burn through power, but thanks to its specially designed custom battery pack the AceBeam will always be running at optimal efficiency. Plus it’s rechargeable and comes with its own specially designed carrying belt. Best EDC Flashlights for The Money– The Supernova Guardian 1300XL EDC Flashlights ($60) is ultra-bright and ultra-powerful, with this flashlight you can easily brighten up huge areas instantly and it even includes a specially designed self-defense mode! With five lighting modes plus the disorienting strobe mode for self-defense, this flashlight can do almost anything you need it to. And thanks to its hardy aircraft-grade aluminum alloy construction it’s incredibly strong and waterproof. Best Rechargeable Flashlight – The ThruNite TN32 Rechargeable Flashlight ($240) is incredibly powerful and most importantly quick to recharge! Featuring more advanced and efficient LED’s this flashlight can be used over incredibly long distances and the smart technology prevents any possible damage due to overheating. The ThruNite TN32 is one of the best rechargeable flashlights on the market today and is perfect for camping and hiking or just to keep as a backup in case there’s an emergency. Best Tactical Flashlight – The fantastic Fenix PD35 TAC 1000 EDC Flashlight ($73) is one of the best tactical flashlights available, it offers a tactical tail switch with included momentary-on functionality and as a high-intensity bright light that measures over 1000 lumens in total. Plus unlike many other tactical flashlights, the Fenix PD35 TAC is still very lightweight and easy to handle and operate. And if that wasn’t enough it also comes with its own protective carry case for ease of movement and safe storage.